The International Intelligence Unit of FGV (FGV IIU) held in Rio de Janeiro from March 21 to 23, the "International Economics and Trade Conference" and the "Seminar for Students and Young Researchers", of the Jean Monnet Network on Atlantic Studies project. The initiatives are part of the second phase of the project, which deals with 'Economics in the Atlantic', and is the result of a partnership between 10 research institutions distributed on four continents bathed by this ocean. The Seminar for Students and Young Researchers, held on March 21st , had the participation of more than 50 students from different institutions and varied courses, who were able to discuss with renowned international scholars, the challenges of energy, trade and human-security on the Atlantic Basin. The event was very well evaluated, and allowed to awaken in the next generation of academics and researchers a concern of the Atlantic future. 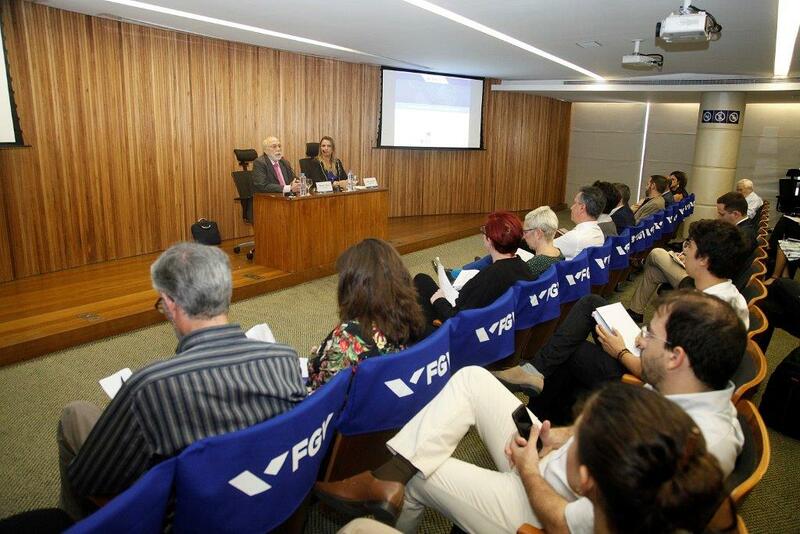 The "Economics and International Trade Conference", held on March 22 and 23, was opened by Professors Renato Flôres (Director of FGV IIU) and Rubens Penha Cysne (Director of FGV EPGE - Brazilian School of Economics and Finance) which emphasized the project's multicontinental and multidisciplinary approach to a modern understanding of Atlantic trade relations. The sessions were attended by speakers from different countries, as Portugal, Mexico, Spain, Morocco, South Africa, United States, Brazil and Belgium, allowing a broad view on the economy, synergies and exchange of experiences. The 22nd event was finalized with the special participation of the European Union Ambassador in Brazil, His Excellency Mr. João Gomes Cravinho, which provided a better understanding of the role of the European Union as an Atlantic actor, its experiences and its their relevance as a trading partner. A Round Table was held on March 23rd, chaired by Prof. Renato Flôres, with the participation of Carlos Mariani (CEBRI), Daniel S. Hamilton (Johns Hopkins Univ. SAIS), Renato Baumann (Ministry of Planning) and Roberto Fendt (Brazil-China Business Council). The rather creative debate was directed at the future prospects and the shape of trade agreements in the Atlantic region. The event will result in a book that will be published later this year and will be posted on the project's website as an open source for access to students, academics and opinion formers.